Beautify your home. Keep our rivers clean. Rain Check helps you save money on home projects that protect Philadelphia’s waterways. Get a FREE Rain Barrel! Qualifying Philadelphia residents can sign up to receive a free rain barrel, courtesy of the Philadelphia Water Department. Follow these steps to learn about the Rain Check program, the stormwater tools offered, and how to get your tool installed. Unsure which tool is right for you? Answer these questions to help you choose a tool that best fits your home, needs and budget. After determining which tool to install, attend this required workshop to learn more about stormwater management, the Rain Check program, and the tool installation process. Recently attended a workshop and ready to proceed? The Pennsylvania Horticultural Society (PHS) will arrange for the installation of your stormwater tool. A custom-designed rain garden can cost you less than $400! 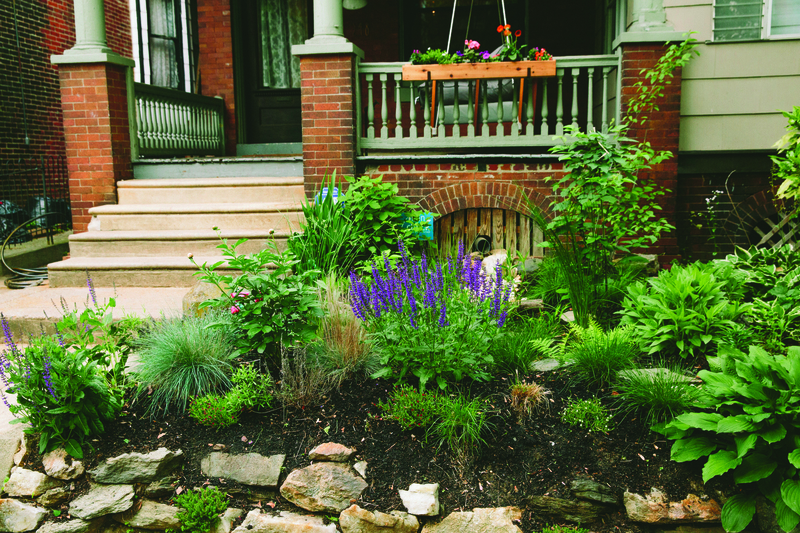 Rain gardens beautify your property and protect Philadelphia's waterways! Take a Rain Check Workshop and Dream Big About Spring Projects! As winter fades, daydreams of warm days spent relaxing outdoors keep us going until spring arrives. But if your reverie is dampened by a cracked patio, an ugly spot in the yard, or a lackluster front stoop, heading to a free Rain Check workshop in March or April is just what you need. 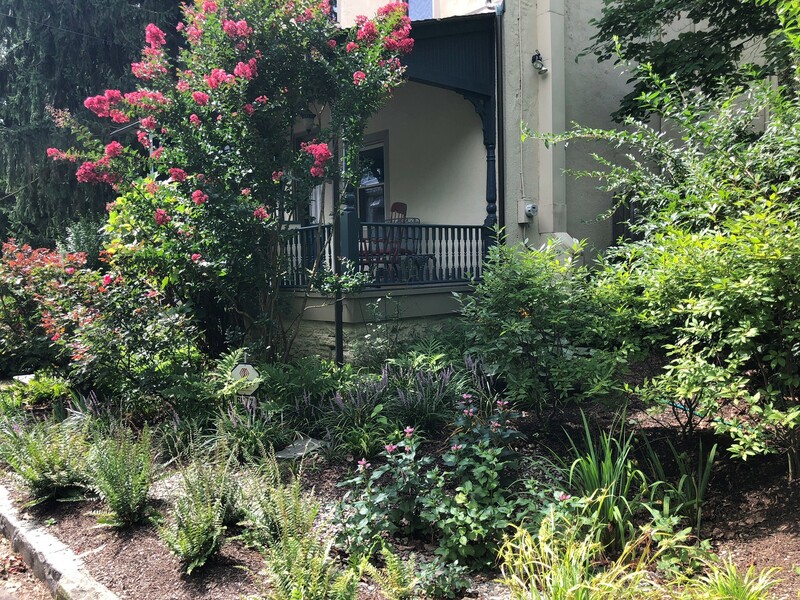 You’ll learn about a variety of landscape improvements or “green tools” that can make residential properties more beautiful while protecting local waterways. The best part? Taking a workshop is the first step to starting a Rain Check project and saving up to $2,000 with our funding. That extra help means you can dream big this spring: even custom-designed, professionally-installed rain gardens cost most Rain Check participants less than $400! See if your property could qualify for a beautiful rain garden using the Pick Your Project quiz and sign up for a workshop today.